When we bought our old farmhouse in Gascony, my first concern wasn’t to find a roofer or a plumber – both of which were urgent – but a riding club. I was lucky to make contacts quickly, and joined the riding club in the local market town. Run on unusual lines, the club is “bénévole” – run by volunteers on a non-profit-making basis. The club owns only one horse of its own, and the other eight or so are all owned privately. The owners lend them to the club, then every member pays a small monthly subscription. This fee covers the incidental costs such as insurance, horseshoes and winter feed. 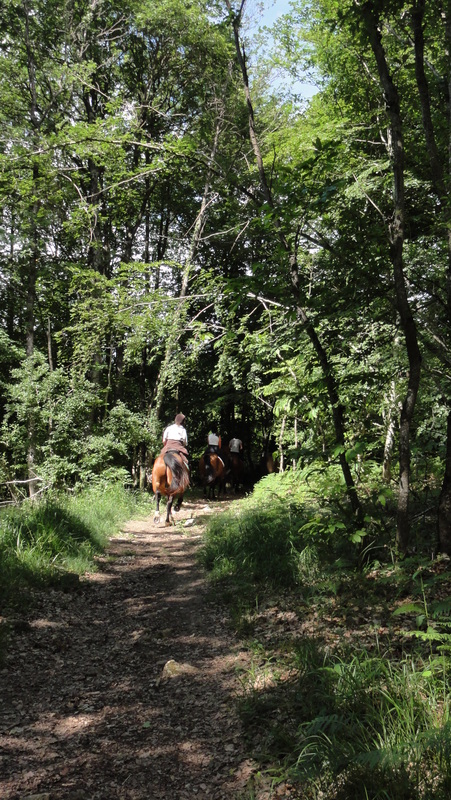 Every club member can then ride any horse at any time, although every effort is made to give owners precedence over their own horses. The horses are strong, tough mountain ponies, suitable for riding over the rocky steep terrain round the Pyrenees mountains. 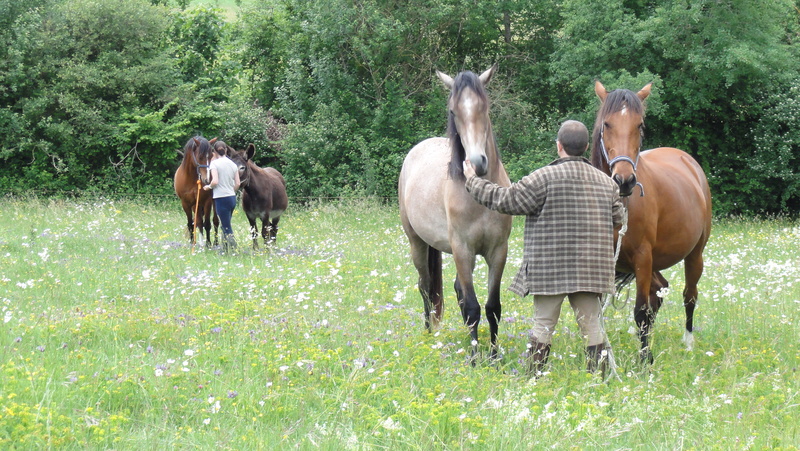 Most are cross-breeds, a mixture of Selle Français and Quarter Horses. Often there’s some Appaloosa mixed in as well. The horses live out all year round, and are looked after on a rota basis by the club members. The riding around the area is fantastic, with hundreds of kilometres of mountain paths to follow and spectacular views along the ridges. You can even ride to Spain over the mountains, barely touching a road. The horses belonging to Jean-François at the club. There’s no greater delight than taking one of these sure-footed ponies for a gallop along the mountain paths. I have to harden up and get used to the French tack though – my first few rides resulted in an unprecedented level of pain! Galloping up the forest tracks.